Design economical investment, high effiency, easy operation and maintenance paper manufacturing project are the key targets of Leizhan experts and professional engineers. Leizhan engineers have developed the following high effiency solution for 5t/d paper processing turn-key project. 1. Chain conveyor is used to convey raw material into the ZDSG3 high consistency hydrapulper for pulping. 2. The paper pulp will be transported to CS100 low consistency cleaner for cleaning the heavy impurities in paper pulp. 3. Later,the paper pulp will enter into screening facility(UV0.5 upflow pressure screen and ZSK2 auto-cleaning vibrating screen）for coarse and fine screenin g of various imputies of paper pulp. 4. To improve the beating degree of paper pulp, ZDP11B Double disc refiner will be used to make the paper pulp system more effiency. 5. Finally, the fine paper pulp will enter into headbox for paper manufacturing. 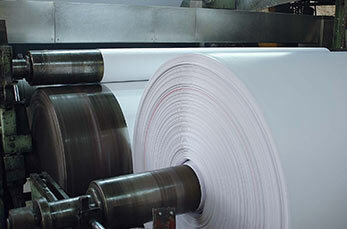 2880/180 paper processing facility has a basic weight of 13-30g/m2 and design speed of 180m/min. It can produce 5 ton of tissue paper per day, using coomodity wood pulp, white shavings and waste paper without ink as raw material.